Passengers can see clear through the concourse to a large picture window over-looking the airfield. Window walls, skylights, and a raised ceiling—along with funky lounge seating, art, and local shopping—boost spirits and encourage relaxation. There are changing rooms and a private space for mothers to nurse their babies. 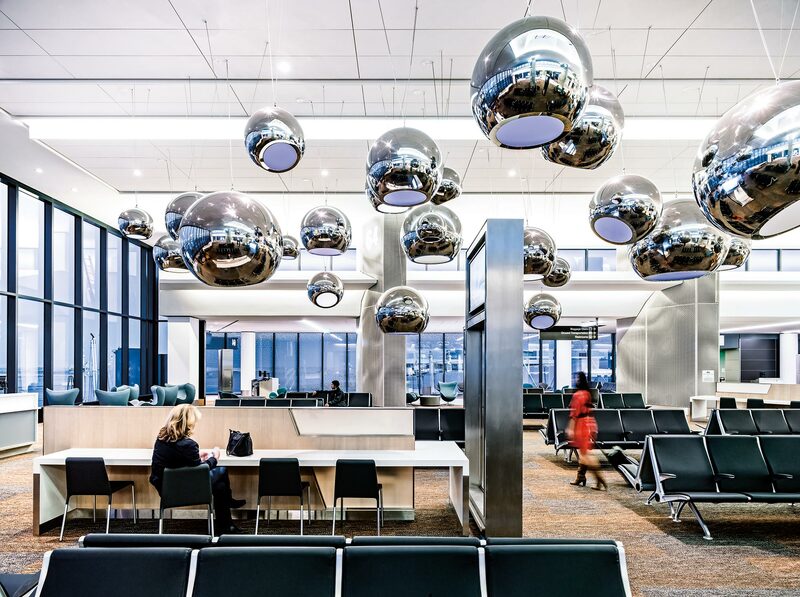 A play area’s motion-activated spinning disks invite children to exhaust themselves before the flight. 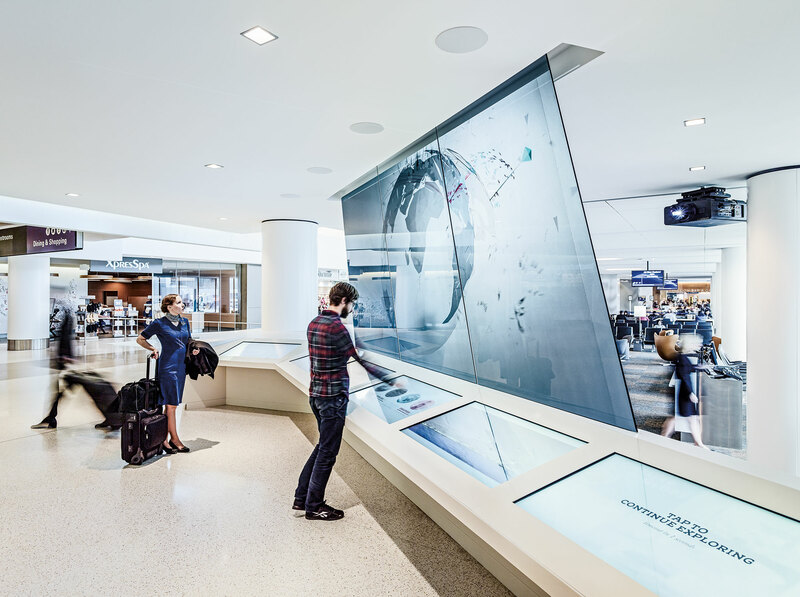 And for kids of all ages, the boarding area entrance is anchored by a splashy interactive screen, designed with Razorfish, that’s both info center and giant touchscreen toy. At the gates, the lights set color temperatures to the time of day, helping jet-lagged passengers adjust. A fanless displacement-vent system regulates temperature—part of the design team’s LEED Gold strategy.